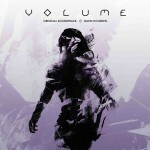 David Housden is an award-winning, BAFTA nominated composer best known for his collaborations with visionary game developer Mike Bithell on the BAFTA award-winning indie hit Thomas Was Alone and his latest opus, Volume. Drawing upon his garage rock band days, Housden creates melodic, original music scores which illuminate imaginary worlds with real emotion and immersion. 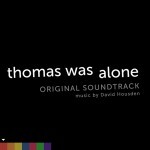 Housden was first launched into the spotlight with his original score for Mike Bithell’s best-selling indie title Thomas Was Alone. Featuring minimalist pianos and ambiences fused with lush strings and ethereal synths, both the game and soundtrack enjoyed rave reviews, receiving BAFTA nominations for ‘Best Story’, ‘Best Original Music’ and ‘Best Performance’ (winner) as well as Develop nominations for Best Audio Contribution and Best Use of Narrative (winner), and Honourable mentions from the Independent Games Festival for Excellence in Visual Design and Excellence in Audio. His latest score for Volume – Mike Bithell’s sci-fi reimagining of the Robin mythology starring award-winning actor Andy Serkis – fuses medieval instrumentation, with contemporary percussive beds and synths, post-rock type ambiences and cinematic grandeur; Housden created many of the ambiences by manipulating source recordings from Sherwood Forest, combined with the ethereal vocals of Riva Taylor (Assassin’s Creed Theme). Delivering sophisticated scores with exceptional production value he’s also worked on Bossa Studio’s BAFTA award winning Monstermind, Sony’s Playstation Home for PS3, and, Jonathan Ross’ first game narrated by Stephen Fry. Housden is also signed to various publishers, creating film and television cues for a vast list of clientele including Warner Brothers, Universal Studios, Paramount, Fox, MTV, HBO, ABC and VH1. Widely tipped as one of the industry’s most promising young talents, he’s currently scoring his first feature length film, The Hit Squad, an animated comedy described by director Chris Blundell as “South Park meets Spinal Tap on Nintendo; as well as multiple new game projects due out in the next year. David Housden has worked on a multitude of games including Bossa Studio’s BAFTA award winning Monstermind, Sony’s Playstation Home for PS3, Mike Bithell’s indie smash hit Thomas Was Alone, Jonathan Ross’ first game (narrated by Stephen Fry), and he’s currently in the process of scoring his first feature length film. Housden’s also recently signed to New York based publishers The Goo, creating film and television cues for their vast list of clientele including Warner Brothers, Universal Studios, Paramount, Fox, MTV, HBO, ABC and VH1. Featuring the original album completely remastered, complete with brand new tracks written exclusively for the release of 'Benjamin's Flight' DLC on PS3 and Vita. The perfect accompaniment to the game! Stealth action and infinite level creation from the award-winning studio behind Thomas Was Alone. Enter the Volume to halt the corruption of Gisborne Industries and train the masses to rob from the rich. A curated list of user created levels delivers new content weekly. Please get in touch for a chat about your requirements.